What would a Mac Pro with an ARM processor look like? 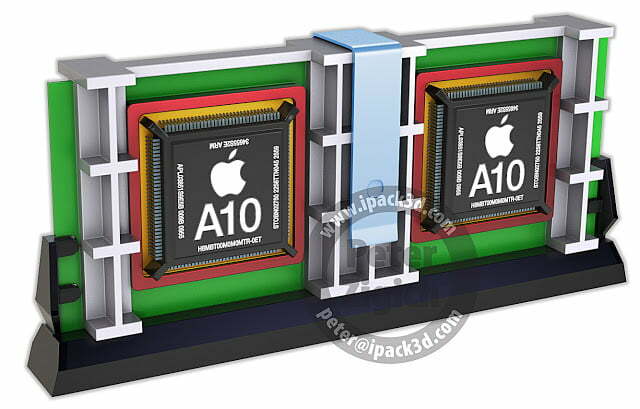 In 2012, reports circulated that Apple may ditch the Intel chips in iMacs and MacBooks for ARM-based processors similar to the ones used in iPads and iPhones. Those reports, however, were mere rumors and haven’t been confirmed by Apple. 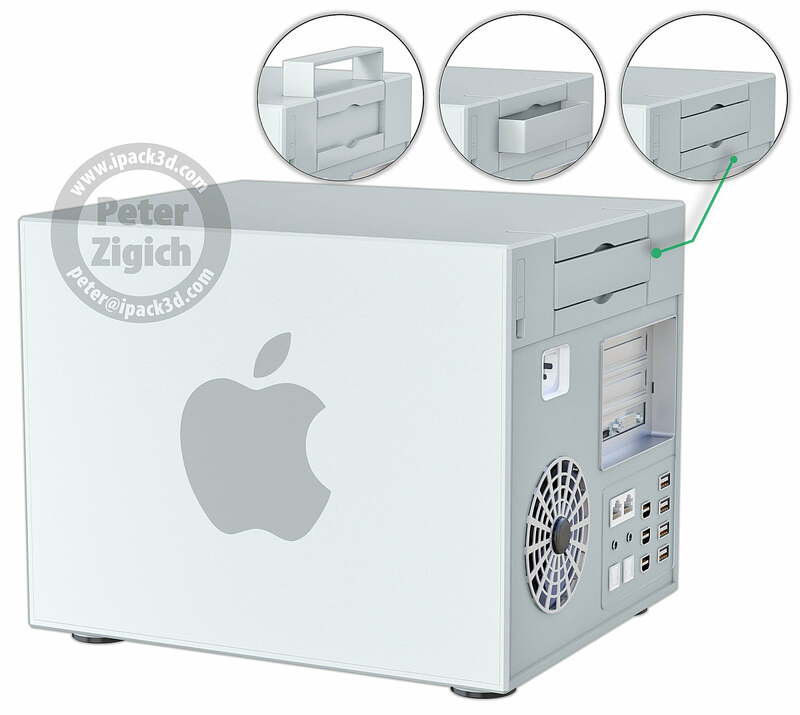 Even so, one designer, Peter Zigich, believes that the company might go through with the switch and that many others will follow suit, which is why he created a concept design of a Mac Pro with an ARM architecture, instead of Intel. Zigich believes that because ARM chips are smaller and more power-efficient than Intel chips, Mac Pros of the future could be a lot lighter, smaller, and more energy-efficient compared to the large ones available today. 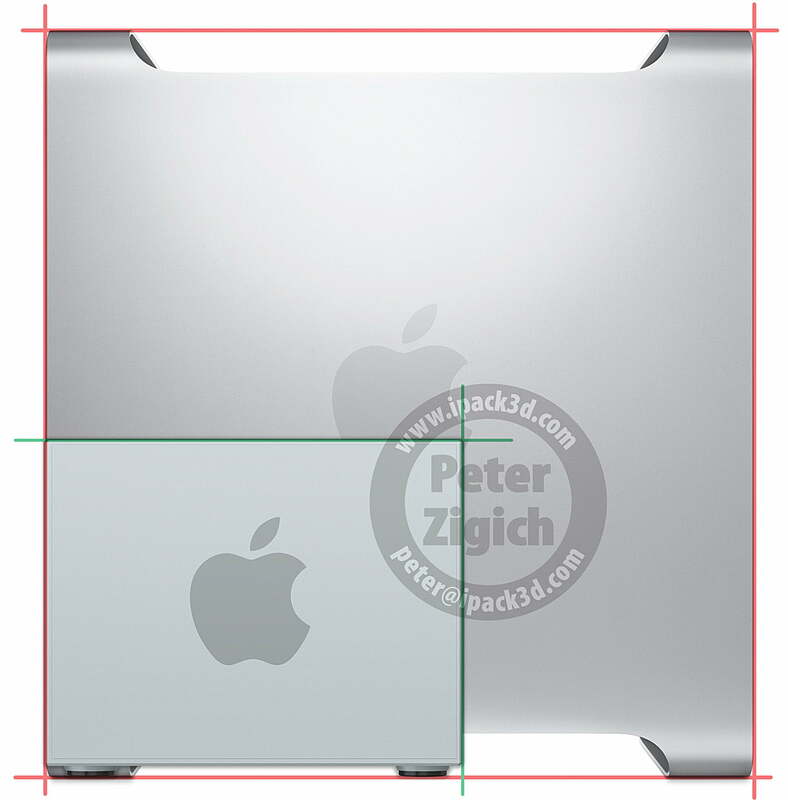 The concept design is peppered with ports, including USB 3.0, Thunderbolt, Ethernet, mic and speaker, and 3 PCI slots. 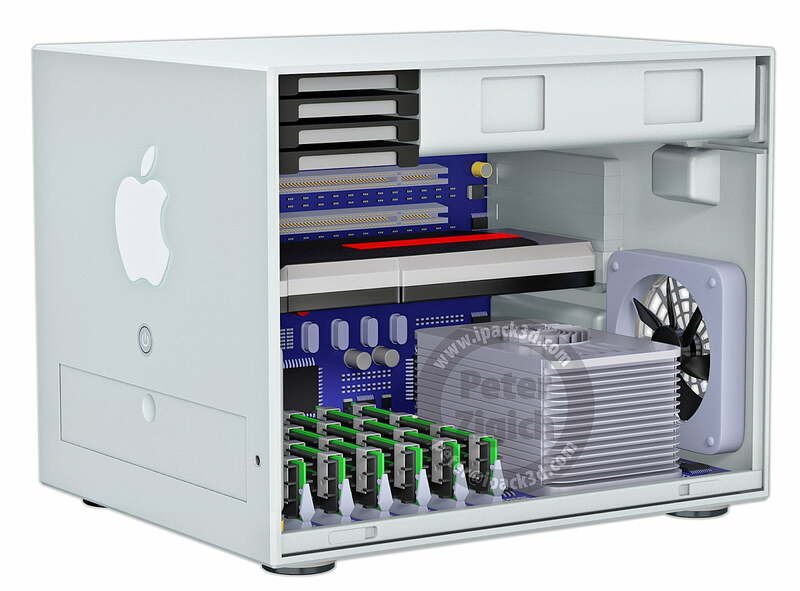 Inside, there’s enough room for four hard disks, six RAM chips, and eight ARM-based CPUs for max processing power. The concept, however, isn’t quite a runaway hit with the masses. Some comments on TechCrunch have likened it to “a pasteurizer or some kind of food lab equipment,” a power backup, and an external hard drive housing. 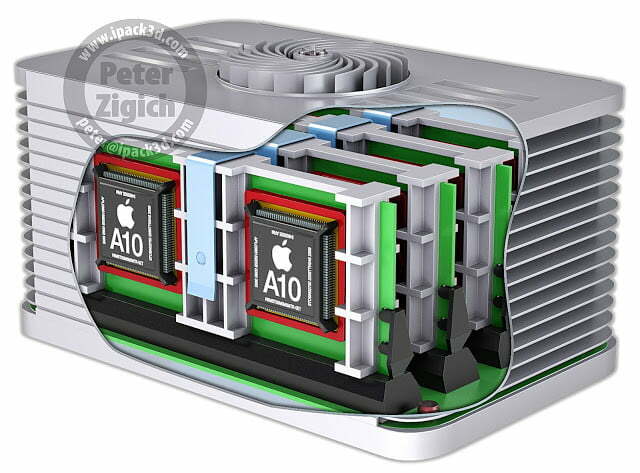 So we want to ask you: If you were an Apple designer, how would you design a Mac Pro with an ARM processor? Check out Zigich’s blog for more images.